Oh, do I love it when I can get somebody else to write my blog for me. 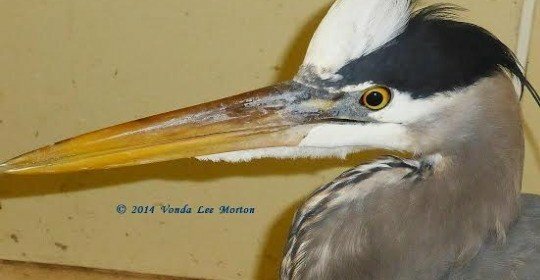 This one comes from Vonda Lee Morton, a wildlife rehabilitator who runs Laurens Wildlife Rescue outside Atlanta. She and I have never met in person, but thanks to the internet we’ve been through all kinds of wildlife emergencies together. Rehabbers have friends all over the country (sometimes all over the world) who we’ve never laid eyes on. No matter, we’re linked together and loyal to the end. 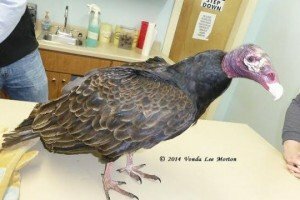 I saw Vonda’s post about taking in a Turkey Vulture and a Great Blue Heron on Facebook. Her stories and photos were so great I thought I’d share them, especially since all rehabbers can relate to the ranting part. Vonda uses a Panasonic Lumix ZS30, which she describes as “a pocket-sized camera with a 20x optical zoom, complete with the NFC thingy that lets me send pix from it straight to my phone.” I just recently learned how to take a photo with my ancient sliding non-iPhone (Friend: “You push this button here.” Me: “Wow!”), hence to me Vonda’s photographs verge on the magical, like those of all you camera-toting, globetrotting birders. Pay close attention to the videos on this post, which might give the uninitiated a little window into the psyches of rehabilitators. Note that when faced with a very large carnivorous bird with a lethal-looking hooked beak, Vonda looked into his eyes and offered him her hand. Did he remove it? No; he nibbled it gently, thus eventually providing rehabbers across the country with an opportunity to simultaneously rant about the public and coo about how cute vultures are. Disclaimer: do not try this at home. I saw the title of this article from the 10,000 Birds Face Book feed and wondered, “Oooh, is this a Suzie post?” I’m glad it was – and thank you for sharing Vonda’s post. 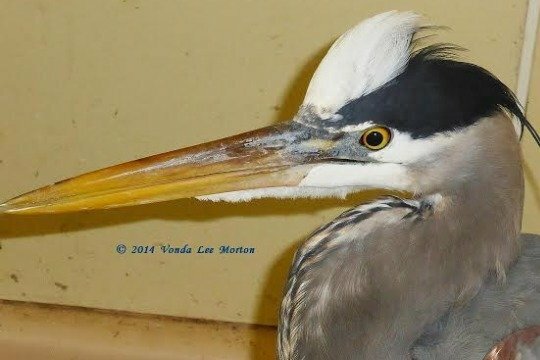 I appreciate stories from those who bring a little zing to wildlife rehab! Thanks, Arden! We have no shortage of stories, that’s for sure!